When I am looking for a top of the line grill, the first name that comes to my mind is Weber. Weber has been doing business in the USA for over sixty years. Like many American s, I have lifelong memories of Weber grills bringing the family together. Weber means quality to me. Their grills that stand up to the outdoor elements. 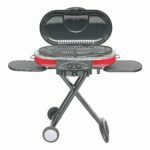 Problems like heat spots, rust, and broken built-in thermometers that seem to plague 90% of Walmart grills simply do not exist with Weber grills from everything I have seen. Anyone can walk down to the Big Box Store and buy a propane grill for a few hundred dollars. Truly I think everyone knows the bargain they are buying into. Yes, it costs less than top of the line Weber models. However, you can only expect to get seven or eight years out of this grill max. Problems will probably come up along the way. But that is the bargain, save a few hundred dollars for a machine that has lower standards. All gas grills have standard features by this point. Controllable burners, grilling grates, and a standard design look. Do not waste your time with a lookalike grill. Weber is the true pioneer of the American grill market. 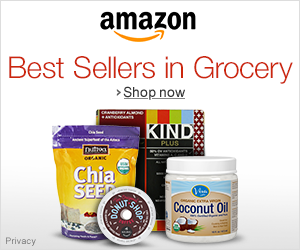 Follow quality, ingenuity, and a company that guarantees their product. The Weber Spirit E-310 Gas Grill is a champion in the market and is worth a look at by all serious fans of propane grills. Two things stand out first and foremost about the Weber Grill. It is pretty and it is solidly built. The stainless steel and black look is an absolute classic. Weber hits all the high marks for the look of their grill. What makes the Weber Spirit so great is that style is matched 1:1 with quality. This is not just a thin stainless steel finish/paint. This is true steel. Even the knobs for this grill are stainless steel. Products that work, look great, and last a lifetime are what men should surround themselves with. The guesswork of grilling is taken out of the equation with the Weber Spirit Grill. First off, there are no hot spots or flaws in the heating system. If the temperature gauge is reading 355°F, then your grill is 355°F. To control the burners all it takes is a turn of the knobs. 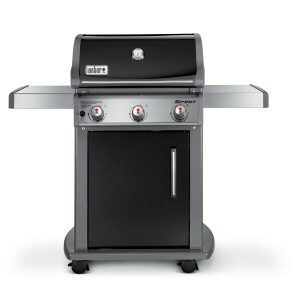 To save on gas, you can choose how many of the three burners you want to grill with. Expect your grill to reach the desired temperature in as little as ten minutes. If you are going to drop the money needed for a Weber, you better make use of it. Lucky for us, the Weber is built to last even with heavy use. Fire that grill up for your family multiple times a week. Everyone loves grilled meat. Besides, cleaning and maintaining your grill is easy. Weber gives you 424 square inches of prime grilling space. This can satisfactorily grill for up to ten party guests. Also, be sure to take your Weber to a tailgate as the locking wheels on the bottom make it simple to transport. If you love seared grilled meats, you need to look into this Weber Grill. Weber takes a great deal of pride in their patented Flavorizer Bars. I must hand it to them, their special grilling grates deliver a beautiful sear mark. Now, the grilling grates are only half the story. The other half is high and constant heat. Thankfully enough the Weber delivers here as well. 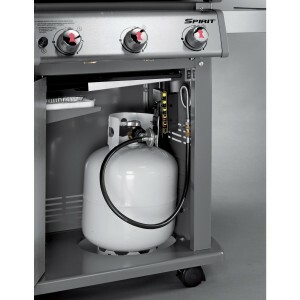 Weber gas grills heat up quickly and remain constant without any sort of issue. 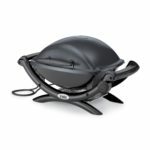 Weber really goes above and beyond to provide all the additional features home cooks have come to love. My favorite small bonus to grills is the built-in tool rack. Six tools can be hung on this tool rack, which more than covers all my needs. Another bonus is the built-in thermometer in the center of the Weber grill. Digital thermometers are still top of the line, but the Weber thermometer works great as an approximate gauge for the temperature. And one last nifty thing is the propane measuring gauge. Knowing the exact amount of propane left prevents me from ever running out of gas like a knucklehead halfway through cooking. All in all, I have to thank Weber for not forcing me to rig up the grill for features that are seen as must haves for most BBQ fans these days. Weber designed the Spirit E-310 with a drip tray that actually works well. So many grills with drip trays clog up for some godforsaken reason. With Weber, the drippings and grease actually drain through the drip hole into the drip tray without an issue. Be sure to line that drip tray with aluminum foil or use a foil pan to collect the drippings. Beyond that, scrub your grill while it is still warm and everything will go smoothly. 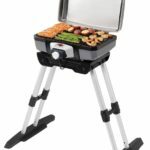 A common shared experience among Amazon buyers of the Weber Spirit Grill is receiving damaged parts as a result of the shipping process. Normally, this just means bent and dented metal sidings of the grill. Getting these dents out is possible with a rubber mallet and bit of prior Youtube research. Nonetheless, Weber fully stands behind their product and will refund you any broken parts on this grill. I will admit, the Weber Spirit Grill is a tad difficult to assemble. First and foremost, realize that this grill weighs about 120 lbs and is shipped right to your doorstep. Hauling this box is your first challenge. Once you get the box open and are ready to begin building, prepare your mind and remain calm. Weber includes a twenty-eight step instruction manual on how to get everything built. Treat it as a manliness challenge. This is like a Lego Set for adults. Just follow the steps and look around the internet if some real problems come up. Need a more budget friendly grill? Try the Char-Broil Classic 4 Burner Grill. While the Char-Broil Gas Grill has some strong suits, I would never claim it as being superior to the Weber Spirit Grill. The Char-Broil will cost you nearly half as much as the Weber Spirit Grill. If all you need is a gas grill to cook for your family, then definitely take a look at the Char-Broil. However, you are going to miss out on all those great Weber benefits like the quality build that is designed to last, those nifty bells and whistles, and the dependable high heat settings. Want the highest of high quality Weber grilling experiences? Look into the Weber Genesis E-310. You will have to pay even more for the Weber Genesis Grill. The extra cost comes with all sorts of benefits though. First, the Weber Genesis has a whole lot more cooking area. Really this is only a benefit when entertaining a large amount of guests. Second, I do believe that the Genesis grill models are even more solidly built than the Spirit grills. All in all, I would only recommend an upgrade to the Weber Genesis if you plan on grilling regularly for large amounts of people. It is true, the Weber Spirit Gas Grill costs a lot of money. You get what you pay for. If you want a top of the line gas grill, then this grill needs to be on the top of your list. The quality construction of this grill is the biggest selling point. Expect your Weber Spirit to last years on end, always performing with the highest ability. 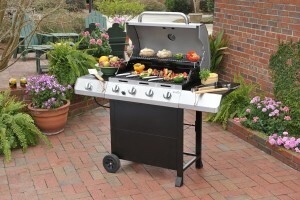 Ultimately, I would recommend this grill to families looking for a dependable quality gas grill. Overall the Weber Spirit E-310 Gas Grill receives 4.5 out of 5 Stars. “If you feel Webers are overpriced, a comment I’ve heard when looking over grills at the big box stores, I feel they’re worth it.” – Bob Z. “I’ve only used it 3 times, and I know that maybe one day I’ll eat all these nice words, but for now I love it. On only its 1st use, it cooked the 2 best steaks (1 filet mignon and 1 rib eye) that I’ve ever eaten (better than the best steak joint in NYC) — admittedly, getting the steaks from a local wholesale butcher helped.” – Stephen B.